For the second week in a row, a Chevrolet racecar sat in victory lane while its driver celebrated another win in NASCAR’s premier series. Last week, it was veteran driver Kevin Harvick who earned the victory for the bowtie brand. Yesterday, it was a different story; as youngster Kyle Larson was able to hold off fellow Team Chevy driver Chase Elliot in the final laps to pick up his ever win in the NASCAR Sprint Cup Series. The victory came at Michigan International Speedway. Elliot, who finished second in the previous race at Michigan, had the lead with only ten laps remaining. However, thanks to a late caution flag, Larson was able to pass Elliot with nine laps left to win the race. Elliot ended up finishing right behind Larson in second place and Ford driver Brad Keselowski came in third, but his racecar failed the laser inspection after the race, which could cost him valuable driver’s points. Ryan Blaney and Kevin Harvick came in fourth and fifth, respectively. Larson’s win also broke a 99-race winless streak for Chip Ganassi Racing. That streak dates all the back to 2013 when driver Jamie McMurray took the checkered flag at Talladega. 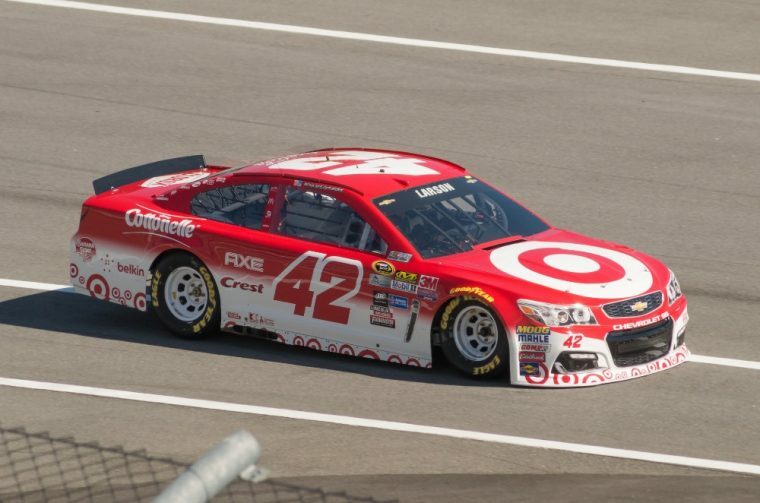 Coincidentally, Larson’s victory at Michigan also came in his 99 career start in the Sprint Cup Series. So far this season, Larson has 5 top-5 finishes and currently is eleventh overall in the point standings. With the win, Larson also sealed a spot in the upcoming NASCAR playoffs. Larson and the rest of the drivers in the NASCAR Sprint Cup Series will be in action again on September 4th when their stock cars will be making left turns at Darlington Raceway. The event will be broadcast by NBC and is scheduled to begin at 6pm.